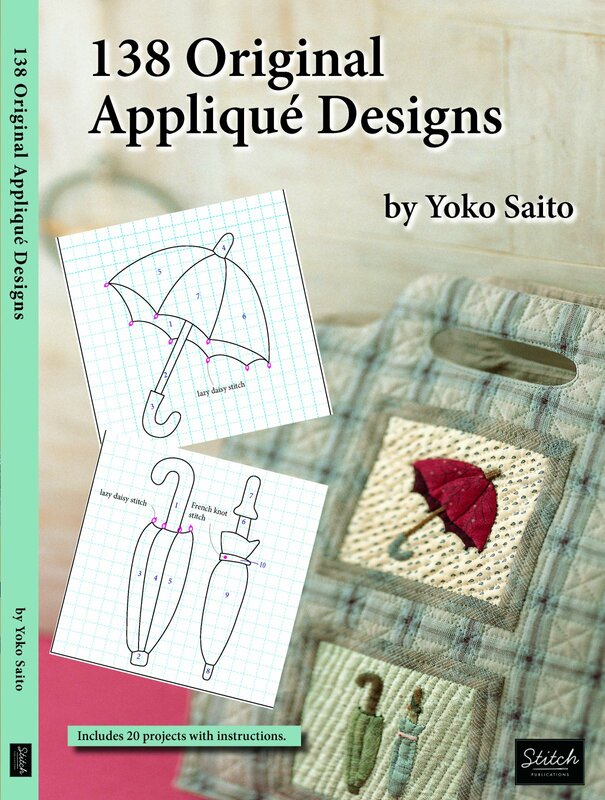 Ms. Saito, famous for her undeniably unique and beautiful color selections and intricate handwork, continues to give the world more wonderful designs in this book chock full of patterns and projects. The 138 designs are a mix of small and large and appropriate for both children and adults. There are 20 projects included in the book from bags and pouches to the more unusual eyeglasses case and a trug. Once again she combines not only appliqué, but patchwork and embroidery in her creations.